With a slim, fashionable design and the Whole Woman logo, this tote is environmentally friendly and a truly great value. Totes are great for carrying books, baby accessories, groceries, beach stuff or whole woman products and make great presents or giveaways. 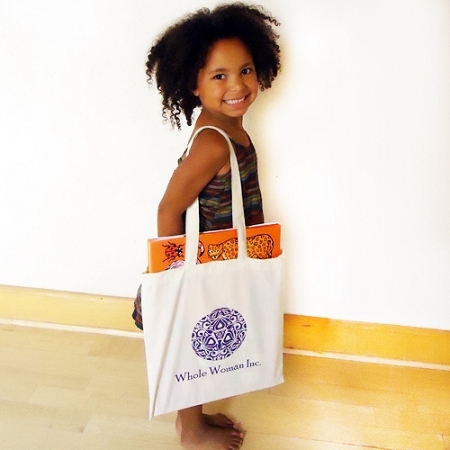 The Whole Woman tote is made from 100% cotton and is 15.5" by 16.25" with the Whole Woman logo silkscreened on one side.